We Buy Houses in Colorado Springs and Fountain and we do it on your terms! Are You In Need Of A Fast House Sale But Don’t Know Where To Turn Or Who To Tr ust? 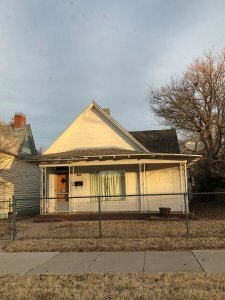 Recent House We Purchased From Owners Who Inherited A Property And Needed To Sell Fast- We Gave Them A Fair Cash Offer And Then Didnt Even Have To Come To Colorado Springs To Sell. Since We Buy Houses In Colorado Springs and we do this for a lliving we can pay cash for your property! We do not need to wait for bank approvals, inspectors, or appraisers. We have our own cash and we can give you a closing time frame in as little as 5-7 days! We will be buying your property AS IS. Meaning we dont expect you to make any repairs to the property or frankly even clean up for us. We buy houses in any and all conditions good and bad. Feel free to take anything that means anything to you and your valuables of course. But dont mind leaving things you no longer want either.